It's okay. 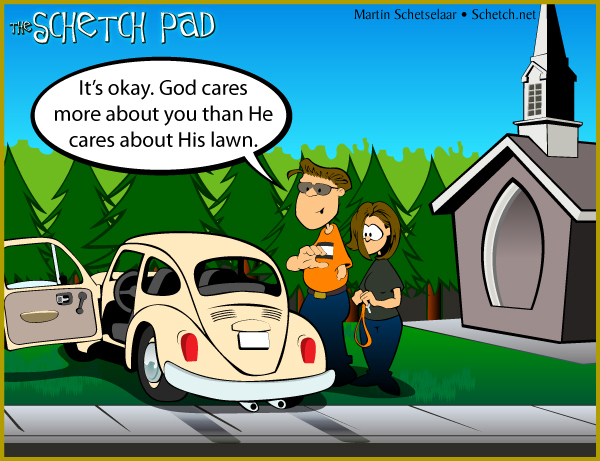 God cares more about you than He cares about His lawn. This totally happened. Seriously, how many people actually make it through learning to drive a clutch without ever once getting anything wrong?